It is one of the most well-documented divorces of the 20th century and yet, 23 years later we are still learning new things about the Prince of Wales and Lady Diana’s infamous separation. A new Channel 5 documentary claims that the late Lady Di and Charles, 70, both cried together on the day they signed their divorce papers. Ingrid Seward, the editor of Royalty Magazine, reveals the information half-way through the documentary. ‘Diana did tell me something quite interesting,’ she says. ‘She said that on the day of the divorce, she and Charles sat down together on the sofa and they both cried,’ she goes on. 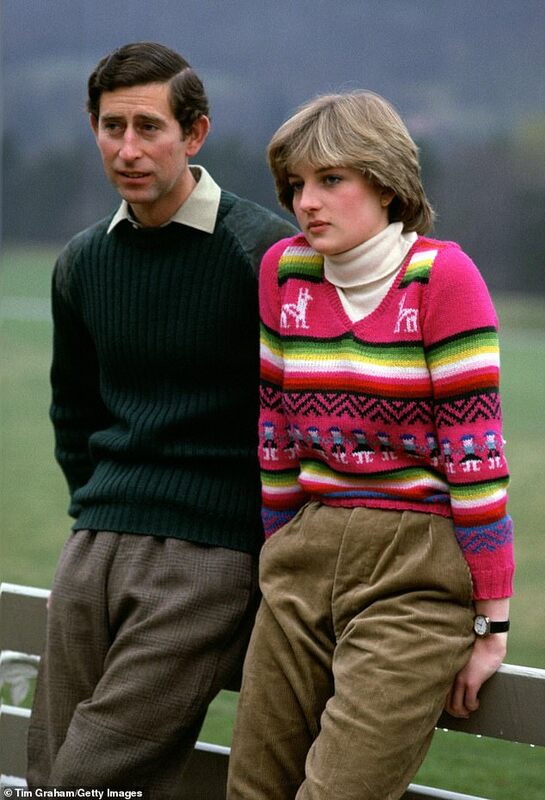 This leads to believe Charles and Diana ended things on much better terms then previously thought. 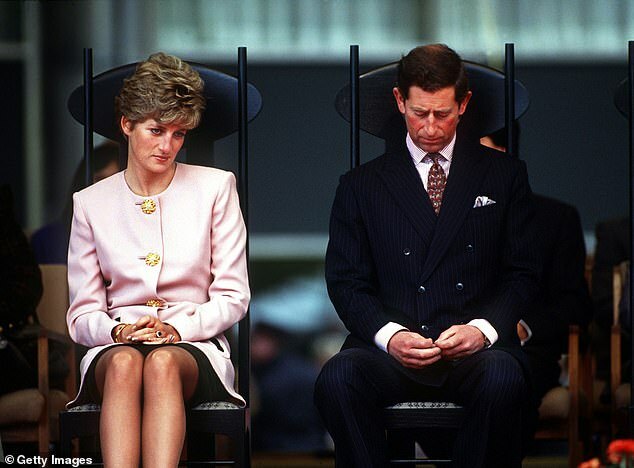 Prince Charles and Lady Diana’s divorce was officially finalised on 24 August 1996, after a very public fall out. The first part of the new documentary, called The Royal Family at War, revisits the former couple’s fairy-tale-to-nightmare love story. It claims that, as previously reported, Diana did not want to divorce Charles, but would have preferred a – temporary – separation. It claims that Lady Diana felt threatened early on by Camilla, now Duchess of Cornwall and Charles’ new wife. In the wake of their engagement, Diana already suspected that something was going on between her groom-to-be and his former flame. The documentary recounts that Diana intercepted a package from Charles to Camilla, which contained a bracelet engraved with the initials ‘F’ and ‘G,’ for ‘Fred’ and Gladys’, Charles and Camilla’s nicknames for each other. ‘Diana, of course, floods of tears, went to Charles and demanded to know what was going on. ‘Charles did not show huge emotional intelligence, if I’m brutally honest,’ royal biographer Penny Junor said. The documentary mentions that Charles also wore cufflinks engraved two C’s entwined that Camilla had given him on his honey moon with Diana. Driven by jealousy, Diana actually confronted Camilla at a common friend’s birthday party in 1989. The content of that conversation has been retold many times. Former security officer for Diana Ken Wharfe says in the documentary that Charles and Diana did not exchange a word with each other on their way back to Buckingham Palace that night. 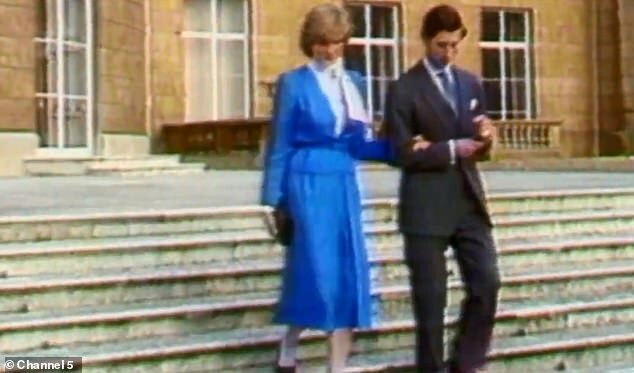 The documentary also revisits the media craze around the fall out and how both Charles and Diana tried to control the narrative by talking to the media. Diana hit first with the Andrew Morton Book Diana: Her true Story. The explosive book recounted how sad her life was and her feelings about Camilla Parker Bowles. ‘She was absolutely miserable, and she felt she was like a prisoner of the Palace,’ Morton says during the documentary. ‘Nothing prepared me for the cascade of information and the controversy that the book aroused,’ he adds. 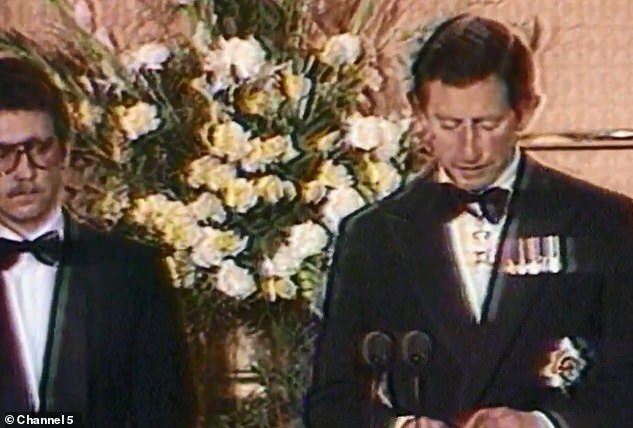 The book was followed by the 1993 broadcast in the media of recorded phone calls between Charles and Camilla, which is called Camillagate or tampongate. In the tapes, Charles infamously joked about becoming a tampon. Charles addressed the controversy in an documentary Charles: the private man, the public role. After Diana answered with her own televised interview with Panorama, the Queen sent her an official letter advising for a divorce. The Royal Family at War airs on Channel 5 at 9pm on Saturday.